In my few moments of free time, I’ve invested quite a bit of money and effort in researching my family tree (you can read more about that in my last blog post). …and spent hours reconstructing what is now several hundred years of ancestors, thanks to the good folks at Ancestry.com. I have so enjoyed reading different stories that different distant relatives have put in the files of shared ancestors, watching how the different branches of this tree migrated from various countries to the United States and then across this country, and really just discovering how I came to be. Pictures. Pictures that show the miracle that we call genetics. …and this is her mother, Bubby Pauline (yes, I’m Jewish). Perky nose, high cheekbones, Cupid’s Bow lips, widow’s peak and pointed jawline…it’s all there. I am their spit and image. But it’s not just physical; my Aunt Diane, Dad’s younger sister, frequently tells me that I remind her of her mother not just in appearance, but in personality and life. She was a violinist who worked with at-risk youth at the Jewish youth center in the Bronx. I’m a pianist and choir teacher who has been a social worker and teacher most of her life, working with at-risk youth in multiple communities. …and this apple easily identifies the tree from which it fell. And what caught my eye? We too are his offspring. What does that mean, to be God’s offspring? To understand that, we have to go to ancient Athens, where Paul spoke these amazing words. The Aereopagus, also known as “Mars Hill”, site of Paul’s most famous, brilliant sermon. They gave gifts to their sanctuary. But there was one great difference. Christians understand God to be the ultimate source of love. We rely on His love to drive the relationship we have with Him. The ancient Greeks, however, understood the deities differently. Then Paul stood in the midst of Mars’ hill, and said, Ye men of Athens, I perceive that in all things ye are too superstitious. For as I passed by, and beheld your devotions, I found an altar with this inscription, To The Unknown God. So, if we come from God – if indeed we are His offspring – then how can anything we make ourselves be God? Their idols of gold and silver and stone were just that – idols – with no life or power or love. We are God’s offspring, meant to look and act and love and give and be like Him. But unfortunately, it’s far too rare. Because, although we can’t create God, just as we are created in His image, we create an image of Him for others. What they see in us, they believe God to be – and that belief could be the fulcrum, the essential factor, in their choice to follow, or not to follow, to reject or to accept, the Gospel. Our great example is the Savior, Jesus Christ. He was the image of God for us. And as we emulate His life, we can be the true image of God for others. So, are we, as baptized followers of Jesus Christ, as those who have dared to take on His name, His identity, and His mission, living lives that show the true identity of the “Unknown God”? Or are we confusing the issue? My prayer is that this apple will lead people to the Tree of Life. Yes, I made it through Leviticus, Numbers, and Deuteronomy, surprisingly. I made it through the Israelites’ conquest of Canaan and all the judges, the exciting history of Israel’s first monarchy, the ups and downs of David’s reign, and the aftermath of his egregious sin with Bathsheba. But by 2 Kings? My brain just couldn’t take anymore long names! And one night of being “too tired” to crack open those five chapters was enough to arrest it indefinitely. Actually, you should say his name like this: “I-SAI-ah!” Use your best James Earl Jones voice for it. There, you got it. Thus saith the Lord, Be not afraid of the words which thou hast heard, with which the servants of the king of Assyria have blasphemed me. Then I guess that’s the answer: do not be afraid. So there are those who don’t believe and holler and bluster and call you addled? Do not be afraid. So you don’t always have a witty answer that will shut their mouths and give you the last word of victory? Do not be afraid. And if you keep reading, you’ll see that God assures Hezekiah that Shalmeneser will get his. And history tells us that, although he was successful in sacking Samaria and exiling those in the Northern Kingdom, he did not succeed in taking down Jerusalem. In fact, the prophecy that “I will cause him to fall by the sword in his own land” was fulfilled in 722 AD when his brother killed him and seized the crown. So, be not afraid. Haters are gonna hate. Be not afraid. God has my back, as He has the backs of all who put their trust in Him. Be not afraid. He will bring you Home. He loves you and you are His. Be not afraid. Oh, and get back to the Scriptures…who knows what the next chapter has? I grew up in the ’70s and ’80s, right about the time that hippie-style “Jesus Folk” music was becoming a staple in *gulp* dare I say it? – stodgy – mainline, evangelical churches. Hymnals were being replaced by songsheets and the occasional overhead projection; organs, pianos, and, in our case, brass bands were being supplemented (not replaced) by guitars; and defined song selections gave way to pick-your-favorite sing-a-longs (this was, you realize, years before “seeker-sensitive” and super-tech-savvy productions happened; we still hadn’t become production-oriented). My season of waiting. Waiting for spring – new life, new purpose, new vision, new hope – to burst through the cold, unyielding, frozen ground of winter. But winter is when all that life gathers energy to explode at just the right time. And while I wait, I must remember that the Lord Himself is renewing my strength…not to run forward, but to wait. The mounting up, and the running, and the walking all come after the waiting. They shall run and not be weary, they shall walk and not faint. God’s word to me today – word spoken in due season – is truly good, and His mercies, so tender and compassionate and tailor-made for me, are new every morning! Great is His faithfulness! I’ve been thinking a lot about the wilderness lately. I live in a wilderness, first of all; Eastern Oregon, other than some fairly nicely developed, habitable areas, is little more than a sagebrush-laden wasteland (Virtue Flats, anyone?) It’s through this wilderness that those hardy pioneers traveled while blazing what we now know, and somewhat revere, as the “Oregon Trail”. I can imagine the excitement and joy those pioneers felt as they egan their trek. Oh, the happy, joyful songs of anticipation they sang while leaving the East…but those songs soon turned into silence as feet got tired, food ran low, people got sick, and little rock mounds marked those who weren’t going to make it to their promised land, the West. No, eventually, the excitement of the journey became just a stalwart putting one foot in front of another, day in, day out, hoping against hope that “the West” would present itself soon. I wonder if I’ll ever feel clean…or rested…or full…or hopeful…again. It’s been cold this winter in Baker County…bitterly cold; the kind of cold that settles into your bones and doesn’t leave, no matter how many blankets you pile on top of yourself. It’s the kind of cold that makes you want to stay in bed long past the alarm clock and crawl back into bed at 7:oo pm. I think I rather wish I could sleep away the winter and wake up when the six feet of snow outside my house has yielded to some happy little tulips. These snowy, grey, cold days just keep going though…and sometimes I wonder if I will ever feel warm again. But it’s not just the cold that has gotten me feeling like that lately; it’s the silence. There have been times in my life when God has bent over backwards to show me His love, to make sure I hear His voice, to make His plan so plain that there’s no mistaking Him! Those times are exciting and full of sparkling wonder. I wake up in the morning with songs of praise bursting out of my mouth, bounce through the day, and then go to bed with prayers and tears of gratitude overflowing. It’s beautiful. I love those times. But these are not those times. This time is the silent time. The grey time. The time when I simply have to trudge through the daily monotony of living without angels and visions and mind-blowing revelation. It’s at these times that I have to just keep putting one foot in front of another, trusting that God is God and His Word will stand. He will keep His promises, regardless if I “feel” it from one day to the next. Right when I need it the most, He whispers. No great light show, no booming voice from heaven, no divine GPS or Google map to reassure me that, although the wilderness seems unending, I am going in the right direction. Just a nudge. Just a whisper. Just enough Presence for me to know that I am not alone. And the trudge is lightened, just a bit. I’ve challenged myself this year to read the Bible cover-to-cover; the last time I did this was 22 years ago, before marriage, family, a very consuming career plus simultaneous grad school, and before the middle-aged lag in energy. Then I read all 66 books in 3 months. Now I’m trying to get in just five chapters a day, but including some more in-depth study and journaling along with it, so I’m actually digesting and processing what I read. I know, commendable. I’m a few days behind, don’t admire me too much. You sang along, didn’t you? Deny it all you want; you did. Looks a lot like the mountains in Eastern Washington and Oregon where I live; not very pretty AT ALL. Sage, tumbleweed, scrub brush, rocks everywhere. Yet this is where Jacob went when all hell broke loose for him. After leaving his uncle Laban’s home (and uncle was a bit miffed because Jacob had prospered so greatly while working for him; the employee surpassed the employer), Laban followed him in hot pursuit, and there, in the middle of this yucky place, God met him and told him to lay off. It was in the middle of this rocky wasteland that Jacob and Laban made their now famous covenant with each other, “The LORD watch between me and thee, when we are absent one from another” (31:49). In that same place, Jacob was faced with meeting Esau, the brother from whom he’d stolen his birthright and patriarchal blessing. 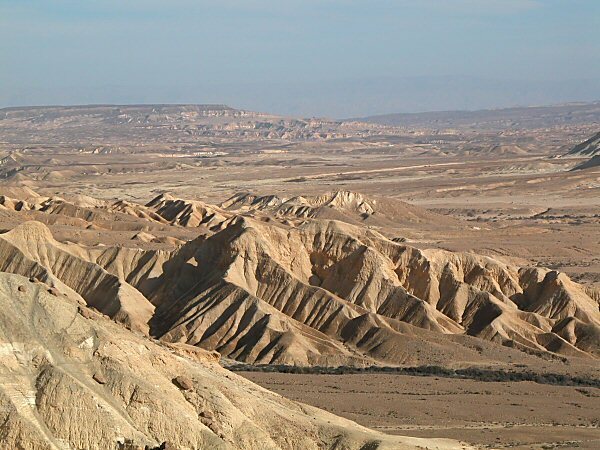 In this deserted and uncomfortable terrain, Jacob wrestled with “a man”…but then named the place Penuel, which means “God’s face”. Whoever Jacob wrestled with left him a changed man, a changed name, and a changed attitude. The next day, Jacob and Esau met after more than two decades and, surprisingly, the past was all water under the bridge. Yucksville was the site of God’s protection, deliverance, and blessing. Makes me think about the hard times, the rocky places, the steep cliffs and prickly bushes in my own life. How often am I too busy commenting (because I don’t complain, per say…nope, not me) on the surroundings and the difficulty of the situation that I don’t see my Father so very carefully maneuvering and manipulating things to serve His – and my – best interest. I’m so longing to get out of Gilead and into the Promised Land (whatever that is in the moment) that I don’t experience the balm – the comfort, the healing, the blessing – that is part of the rocky place. Needless to say, I’m still behind in my Bible reading goal; at this rate, I’ll finish next January. But hanging out in a rocky place isn’t so bad, even if my timeline is thrown off. Maybe I won’t try to book on out of here quite so fast this time.